Kurt Busch is fifth in the Monster Energy NASCAR Cup Series playoff standings and, if certain things happen, he can advance to the winner-take-all Championship 4 at Homestead-Miami Speedway. Kevin Harvick and Joey Logano are locked in via their wins at Texas Motor Speedway in Fort Worth and Martinsville (Va.) Speedway. Busch is 28 points behind his brother Kyle Busch, who’s third in the standings, and 25 behind defending-champ Martin Truex Jr., who currently holds down the fourth and final cutoff position. So if Kurt Busch has a great day and his little brother and Truex both struggle Sunday at ISM Raceway near Phoenix, he could advance to the Championship 4. A mathematics professor at Brown University could figure out all the different point scenarios Busch would need to advance. But the 2004 Cup Series champion seems to prefer a much simpler method – one with a guarantee. Getting the opportunity to race at the mile oval in the desert west of Phoenix – the same track where he once cheered for many of his racing heroes – was a dream come true for Busch. Racing at the track was like a home game for Busch, who also attended college for several semesters at the University of Arizona, just down the road in Tucson, before making it in NASCAR’s big leagues. 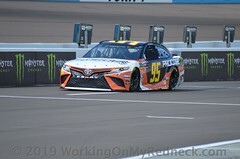 While he was coming up through the ranks, Busch made a number of race starts at Phoenix, competing in the likes of NASCAR’s Southwest Series tour. Then, in 2000, Busch took to the track for the first time as a competitor in NASCAR’s top touring series, competing in both the Camping World Truck Series race in March, in which he finished fourth, and then in the Cup Series race in November later that same season, when he finished 29th. Since his first NASCAR Cup Series start at Phoenix, it has been a track where Busch has performed consistently. Busch has one win, seven top-five finishes and 18 top-10s there. Additionally, the 40-year-old driver has led 751 laps, has an average starting position of 12.5, an average finish of 13.6, and has completed 99.6 percent – 9,634 of 9,675 – of the laps he’s contested there. This weekend’s event is also the first at what can be considered the new ISM Raceway. The start-finish line was moved to what used to be turn two and the original grandstands were torn down and the garages were replaced. So if Busch can score the victory at the “new” ISM Raceway, he will punch his ticket to the Championship 4. It’s the first race at the “new” version of ISM Raceway. Any thoughts on that? What do you feel you need to work on at Phoenix for this week? · The Can-Am 500k will mark Kurt Busch’s 647th career Monster Energy NASCAR Cup Series start and 32nd career NASCAR Cup Series start at ISM Raceway near Phoenix. Busch has one win, seven top-five finishes and 18 top-10s at the mile oval. Additionally, the 40-year-old driver has led 751 laps, has an average starting position of 12.5, an average finish of 13.6, and has completed 99.6 percent (9,634 of 9,675) of the laps he’s contested there. · Busch has career totals of 30 wins, 27 poles, 137 top-fives, 279 top-10s and 9,469 laps led in 646 career starts. · His most recent Cup Series win came 12 races ago in the Bass Pro Shops NRA Night Race at Bristol (Tenn.) Motor Speedway (Aug. 18, 2018). · His last Cup Series pole came four races ago at Talladega (Ala.) Superspeedway (Oct. 13, 2018). · 9,000 and counting – By leading 98 laps in the April race at Richmond (Va.) Raceway, Busch became just the 21st driver to lead 9,000 laps in his NASCAR career. He is now 20th in the laps-led standings, having led 9,469 laps. He’s 275 laps behind Buddy Baker and 287 laps ahead of 21st-place Denny Hamlin. Busch is fifth among active drivers in laps led. 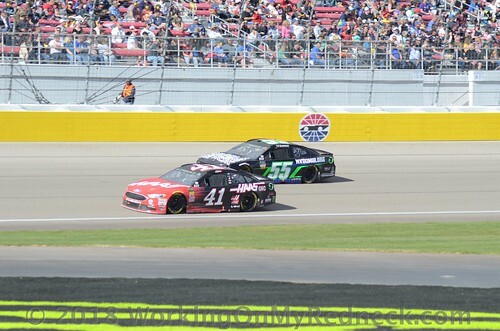 · Get to the Points – Following his seventh-place finish Sunday at Texas, Busch is fifth in the NASCAR Cup Series playoff standings with 4,100 points. He has one win, six top-five finishes and 21 top-10s in 34 races this season. 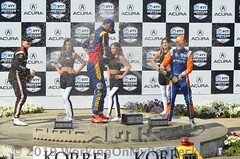 · Busch has been in the top-10 in points for 29 consecutive weeks. The last time he was in the top-10 for 29 consecutive weeks was when he was in the top-10 for the first 35 races of the 2011 season. · Previous Win – Busch has one career NASCAR Cup Series win at Phoenix, which came in April 2005. It was his first victory that season, when the Phoenix event was run in the spring for the first time, and the 12th of Busch’s career. 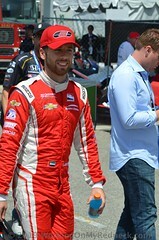 · The Las Vegas native has 27 career Cup Series poles. Busch has never won a pole at Phoenix. His best start there is second, where he has started three times. 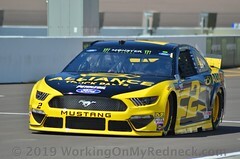 · Leading the Way at Phoenix – Busch’s 751 laps led at Phoenix are the fourth-most that the Las Vegas native has led at any track on the NASCAR Cup Series circuit. The only tracks where he’s led more are Bristol (1,086), Richmond (904) and Atlanta Motor Speedway (801). · Busch has made one NASCAR Xfinity Series start and one NASCAR Camping World Truck Series start at Phoenix. 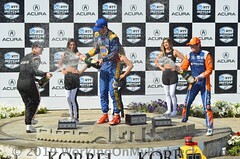 He finished fourth in both.